Very Happy to be showing several paintings with Sirona Fine Art in Miami. + June 30-July 2, Malaga Art Fair with GALLERyLABS. + June 6, 2017, Several Paintings used for Josh Mann's film 'Frederick'. World premier is at this years Dances With Films in L.A. Go Here to read more! + So happy to be a part of the inaugural exhibition with M Fine Arts Galerie in Boston. The opening is May 7, 6-9 pm. + ART WYNWOOD, Very pleased to be honored with an Art Pick of the day, courtesy of Yeelen Gallery Miami!--Go here to view. + Winter Group show with Jenn Singer Gallery NYC--Jan. 26-Feb. 17. and a nice review from Whitehot magazine! 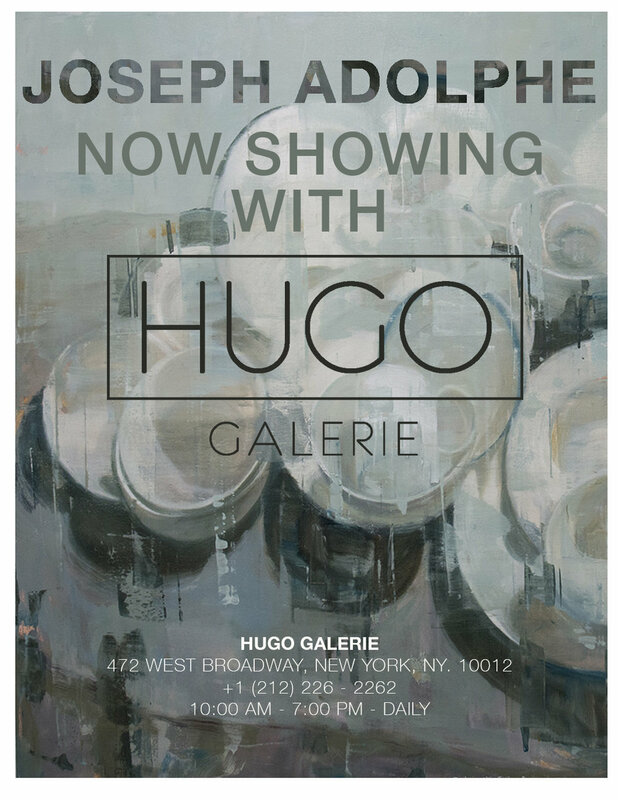 + "More Stories: Paintings by Joseph Adolphe opens Feb. 18 in Houston TX. at Gremillion Gallery. + NEW BOOK AVAILABLE NOW! A collection of work from the past 3 years. + Several paintings now on view at Pryor Fine Art in Atlanta, Ga.
+ Showing 6 new paintings at Bertrand Delacroix Gallery (NYC) during the summer. + Keynote speaker at the International Symposium on Cultural Diplomacy 2014 at the United Nations, June 26, 2014. Title of talk: The Role of the Arts in the Contemporary Global Community: One Painters Perspective. + January-March, 2014, Axelle Gallery, Winter Collective, Boston, MA.